The internet is starts and end with domain name, buying a domain name has much advantage than using free blogspot, WordPress, wapka, and many more extensions. Recently we created a tutorial on how to Buy a domain name from garanntor which is the first step to take before you configure it to your wapka site. First before you start you need to read on how to Buy a domain name from garanntor which is very simple and easy the come back and follow this steps. Remember you have to equally configure the domain at the Cpanel on garanntor or any web hosting company you are using. Now you need to Log in to your Wapka Account . 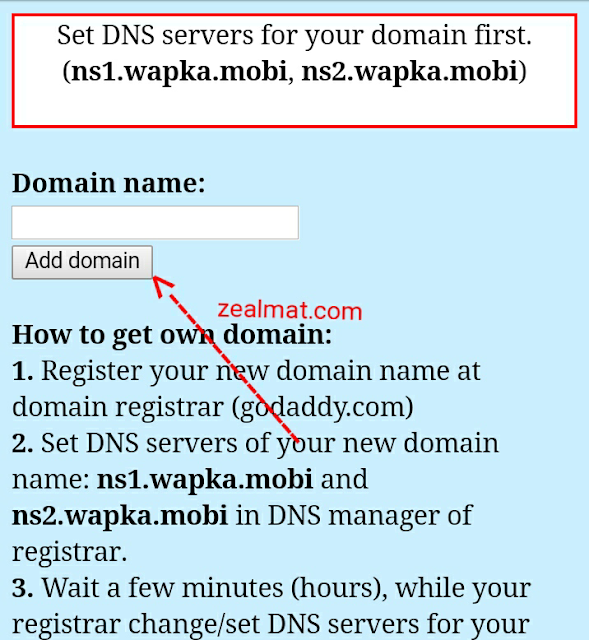 Then Enter to the site which you want to park the free domain . 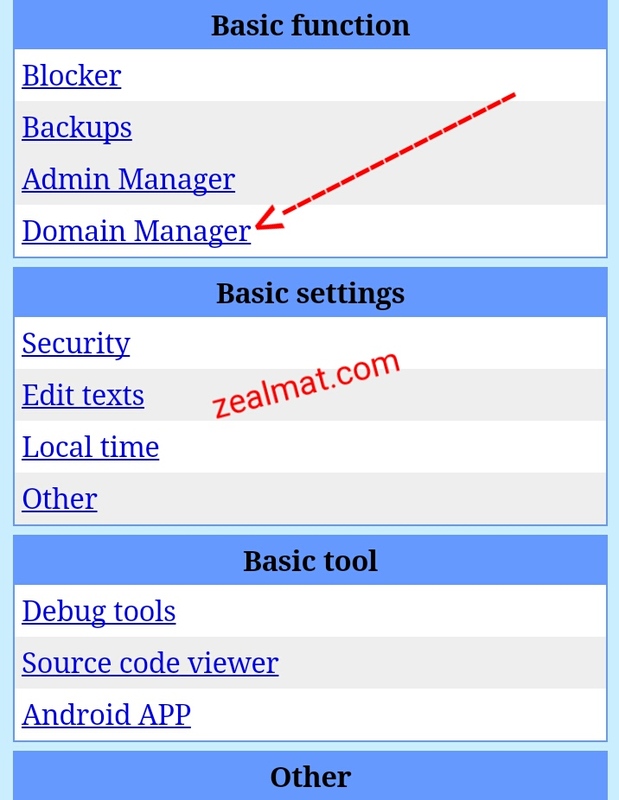 Now Under the "Basic Functions" Click on the "Domain Manager" . Just click on the "Own Domain" . Now Enter the free domain address which you used to register with Garanntor.com and click on the "Add Domain" . 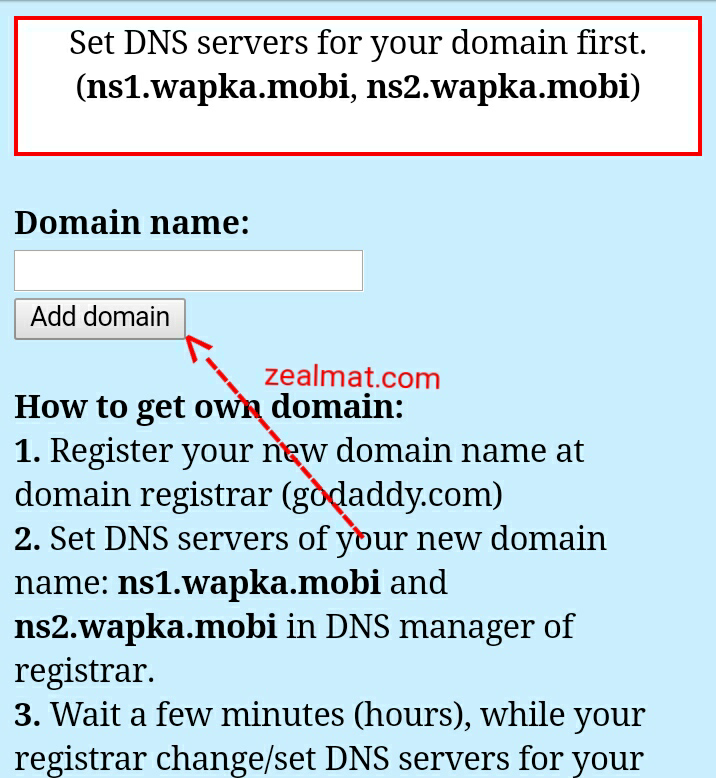 If successful your old wapka subdomain will redirect the visitors to you new free domain .